This week was somewhat of a challenge in some ways, but I’ve actually been looking forward to this training recap. You might have seen that I was a bit under the weather this week and so I skipped a run but did lots of cross training. Monday: I felt pretty gross but met Erika at MCM Mama Runs (it was her birthday! – I’m also linking up with her Tuesdays on the Run post) for a Pure Barre class. I actually felt much better after class, but per usual with summer colds, by the time nighttime rolled around, I felt exhausted. I decided to forgo my Tuesday run and try to shake my cold for good. Tuesday: I hung out with my mom and made use of my parents’ pool. 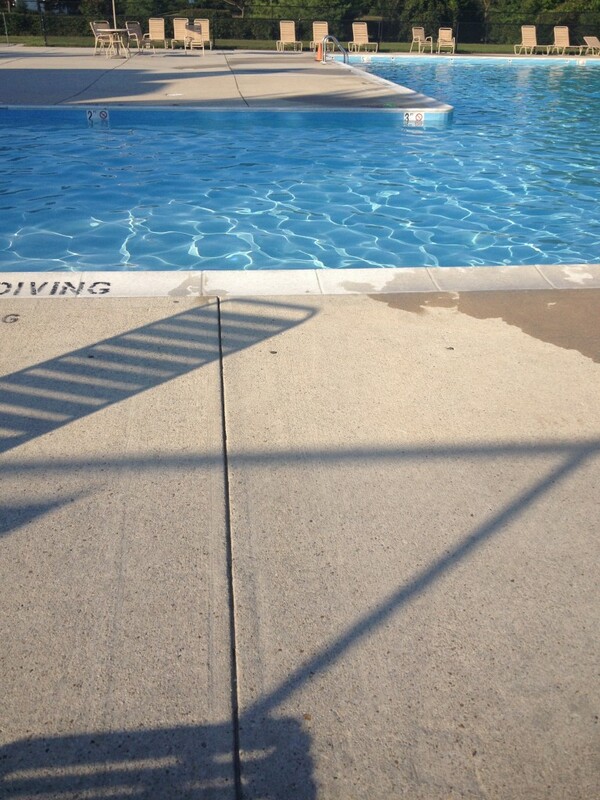 I’ve swam less than I like this summer and it felt good to get in there. Wednesday: I took it back to Pure Barre and probably walked about three miles. Thursday: Since I was feeling better, I headed to the treadmill and ran 10×400 — it sucked. Ugh. That’s all I really have to say about that! Okay, it wasn’t horrific. But I don’t think it’s a secret that I do NOT like the treadmill. Friday: Pure Barre again – I typically only go 2x a week, but I really liked going three times this week! 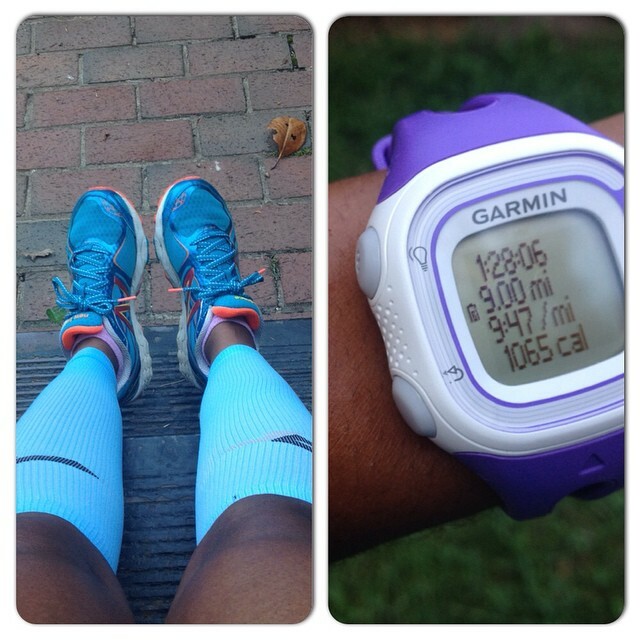 Sunday: I moved my long run to Sunday this week because I had some morning commitments Saturday and couldn’t swing it. I had 10 miles on the schedule and left for the run way too late. It was hot and absurdly humid. I hated every single mile of that run, no lie. I cut a mile to finish at nine miles because it was so miserable and I honestly needed to sit down with cold water. The best thing about that run was finishing. We’ve all been there, right? So that was my training recap for this past week – can’t wait to read about your training. And of course, HAPPY LABOR DAY! ah, sorry that you were feeling so lousy! my summer cold came at the beginning so I know how you feel. Glad you’re better and got back out there! Good week of workouts regardless. It was a good week for me 🙂 Nailed a 21km run at 90% goal half marathon pace yesterday! Looking forward to my own half marathon October 5th! 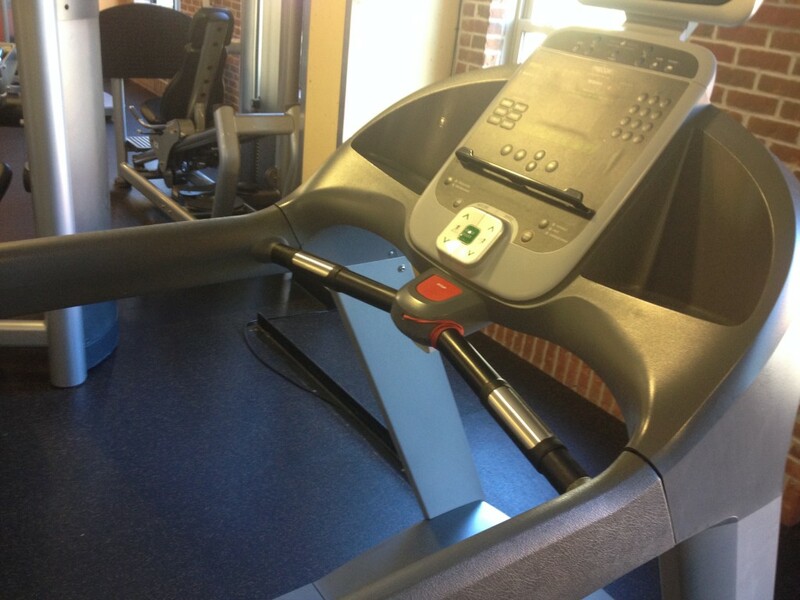 I’m with you–not a fan of treadmills or humidity. Congrats for getting it done! Glad you allowed your body to rest a bit when you were not feeling well. Ooopph hope you are feeling better. Sunday/Saturday were gross in NY! Sorry you weren’t feeling great last week. Hope you’re feeling better – and with any luck we’ll all get a break from this humidity soon! Hope you’re feeling better health-wise! You knocked out that cross training like a champ! Sometimes it’s best to cut the mileage back on rough humid days like this past Sunday! oh girl. i’m glad you’re feeling better health wise and listened to your body about that 10 mile long run. i absolutely feel you on the best part being the moment you’re done. no matter the distance, after like 7 miles it’s that last mile and a half (whether you’re running 9 or 16 or i’m assuming higher than that…) that is the hardest for me. but i have definitely had a few long runs like that this summer. i am SO excited to hear how navy air force goes, and so bummed it’s the same day as the parks half this year. if my roommate wasn’t running parks as her very first half, i’d be there cheering you and julie on til my lungs give out. Way to stay at it even when you weren’t feeling well…and well, you know how my training is going…. 🙁 I want to hit a barre class with you soon!! Looks like you had a great week! You’re inspiring me to get my act together! Thanks for linking up with us!